Unison Research Phono One is an iconic phono stage with classic aesthetic design utilising five ECC83 (12AX7) valves and is suitable for all high-end hi-fi systems. Earn 2199 loyalty points when you order this item. Unison Research Phono One was originally released many years ago and enjoyed much admiration and acclaim during its life-span. After it was discontinued it's popularity did not cease, so when the vinyl hi-fi market began to experience a resurgence, Unison Research decided to re-introduce their iconic phono stage with new and improved specifications. 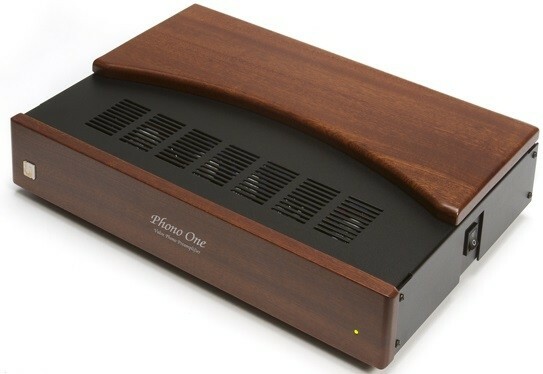 The new Phono One is aesthetically similar to the original, and while it shares some similarities in circuitry with the Simply Phono it earns its place as Unison Research's flagship phono stage in part because of the 10 triodes it uses (5 x ECC83 (12AX7) valves). All of the gain stages now implement a parallel configuration for the best low-noise and low-distortion performance. This solution also increases the overall cartridge gain ability to approximately 54dB; easily enough for a wide variety of Moving Magnet (MM) and Moving Coil (MC) cartridges. The same passive RIAA network as found in the original Phono One has been adopted, but with specially selected components that ensure strict tolerances to the equalization curve. A delayed muting function is built into the phono stage to avoid potential problems with DC voltages and 'bump' (or 'pops') during warm-up and switch-off; this also means you won't hear any music until the valves are running at their optimum temperature, so the sound performance is always the best it can be. As opposed to the Simply Phono, where only the resistive component of input impedance is changeable, the Phono One can have both the resistance and the capacitance changed to perfectly match the requirements of your chosen cartridge. Particular care has been dedicated to the power supply design in order to minimise cross-talk and inter-stage interference. Combine this with the elastic suspension of the amplifier board and optimised circuitry throughout, and the result is a superlative sonic performance, full of natural detail and musical clarity. 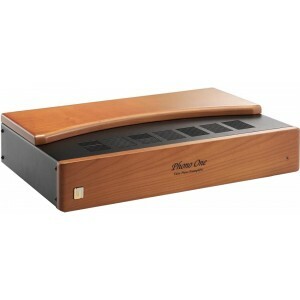 The Phono One is available with a high quality cherry wood panel (mahogany wood panel is available to special order).